Alligators are reptiles that are closely related to the crocodile species in the Alligatoria family. There are two types of alligators existing in the world today, one in the United States, and the other living in China. Alligators are often called living dinosaurs because they are direct descendants of the ancient reptiles that once ruled the Earth. 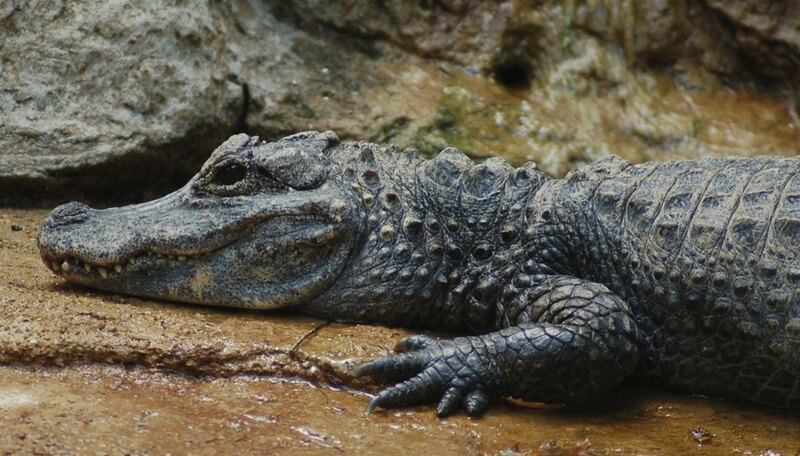 The American Alligator is the world's largest reptile and lives in the southern U.S. states along the Atlantic Coast from Florida to North Carolina, as well as along the Gulf Coast into Texas and southern Oklahoma, reports the Savannah River Ecology Laboratory. These animals have been around for over a million years, but are now on the endangered species list due to illegal hunting and loss of habitat. 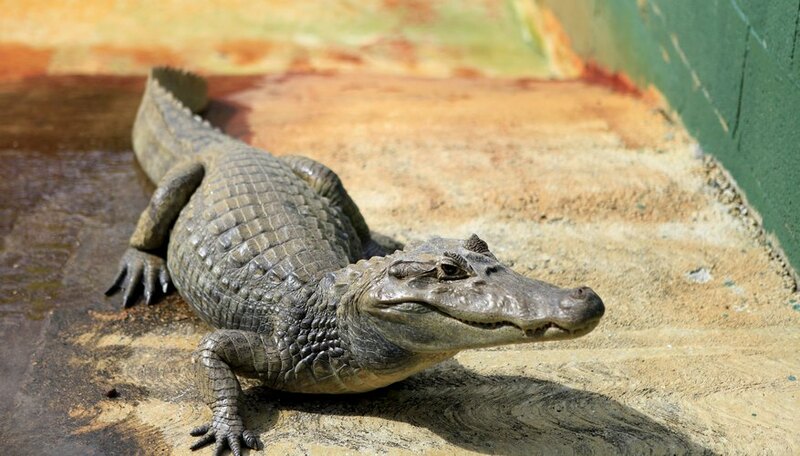 The Chinese Alligator is much smaller than the American Alligator and is so endangered that it is nearly extinct. These alligators once roamed almost everywhere throughout China, but now are restricted to the lower Yangtze River, notes the St. Louis Zoo. Alligators live in warm freshwater environments such as swamps, rivers, lakes, ponds and wetlands. Alligators eat fish, turtles, birds, frogs and small mammals. 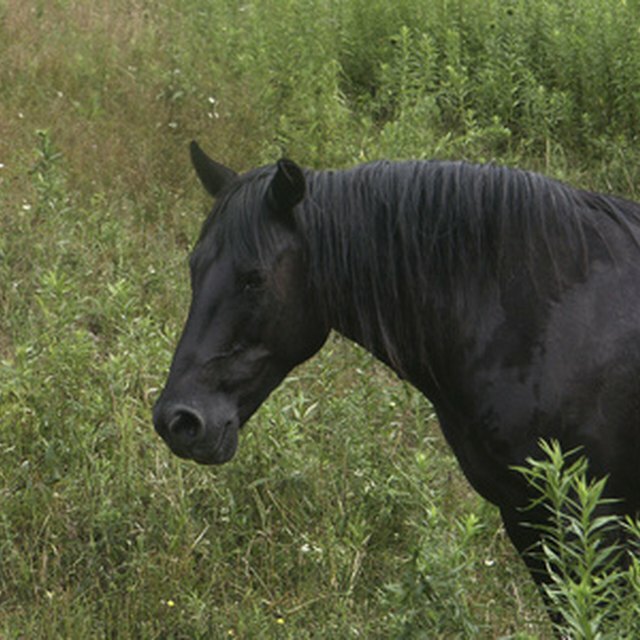 In some cases they will eat larger mammals such as deer. 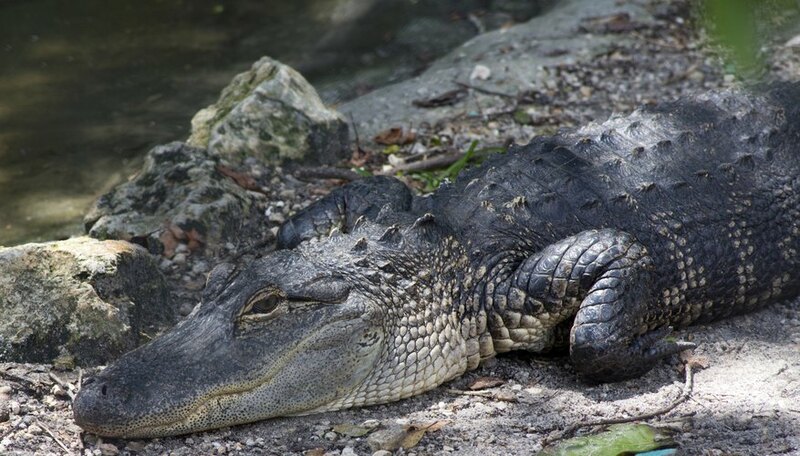 Alligators have a bad reputation for attacking humans, although according to the Savannah River Ecology Laboratory, this reputation is false and undeserved. 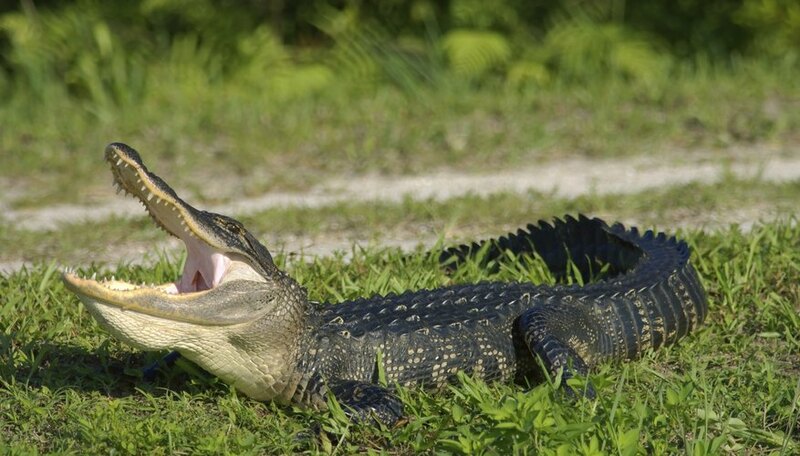 The laboratory says you are more likely to be struck by lightning than to be attacked by an alligator; and in South Carolina, only 11 alligator bites have been documented since 1948, none of which turned out to be fatal. Yearout, Nikole. "Different Types of Alligators." Sciencing, https://sciencing.com/different-types-alligators-8053451.html. 25 April 2017.